LOS ANGELES (CNS) — The words Our Lady of Guadalupe spoke to St. Juan Diego when she appeared to him in 1531 on Tepeyac Hill are the words “she speaks to us,” said Los Angeles Archbishop Jose H. Gomez. “My brothers and sisters, our mother is speaking these words to the church today. And to each one of us,” Archbishop Gomez said in his homily for midnight Mass at Cathedral of Our Lady of the Angels. 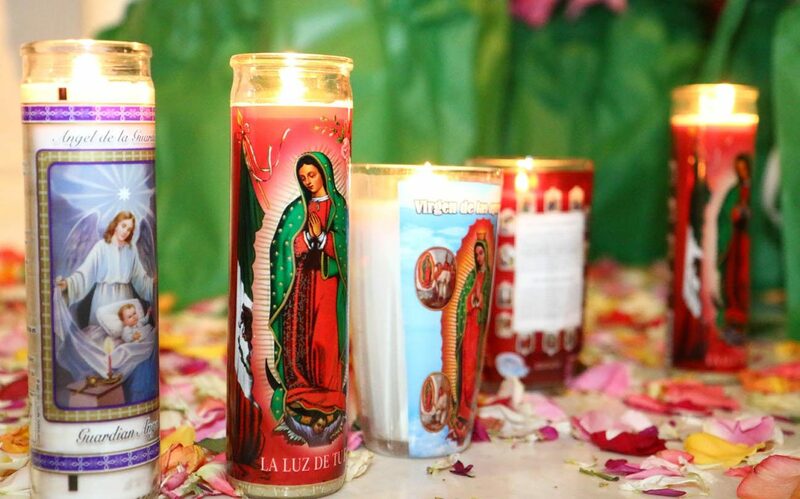 The liturgy began at midnight Dec. 11 and went into the early hours of Dec. 12, the feast of Our Lady of Guadalupe. “She is speaking these tender words of assurance especially to the ‘Dreamers,'” he said, referring to young people protected by the Deferred Action on Childhood Arrivals program, or DACA, which will end in March unless Congress passes the proposed DREAM Act — Development, Relief and Education for Alien Minors Act. The measure would provide a path to citizenship for Dreamers and others in the country without documents. The Mass followed an annual “serenata,” or musical tribute, to Mary that began at 11 p.m. Dec. 11. It is a traditional serenade to the Virgin of Guadalupe — “Las Mananitas” — to honor her for her feast day. It is a Mexican birthday song. “Las Mananitas” came a few hours after a celebration of indigenous dancers on the Cathedral Plaza and the veneration of the relic of the “tilma,” or cloak, of St. Juan Diego, on which the miraculous image of Our Lady of Guadalupe appeared in 1531. The cathedral is home to the only relic of the tilma outside of the Basilica of Our Lady of Guadalupe in Mexico City. The celebration continued with recitation of a special rosary inside the cathedral, accompanied by the Cathedral Spanish Choir. After the rosary, Mariachi Los Toros gave a presentation. “My brothers and sisters, tonight we lay our fears and hopes at the feet of the Virgin. We ask for the grace to contemplate these times we are living in under the gaze of her loving eyes,” Archbishop Gomez said in his homily. He also asked for prayers for all affected by the raging wildfires in Southern California. Part of his homily was devoted to recounting the summer pilgrimage he led from the Los Angeles Archdiocese to Mexico City’s Basilica of Our Lady of Guadalupe. He called on all in the congregation to lay their fears and hopes “at the feet of the Virgin” that night. In the second reading for the Mass, from the Book of Revelation, “we see Mary defending her child, defending the church against the devil,” he said. Jesus said “that we need to treat others as we want to be treated. Very simple. But we need to keep being reminded,” he added. Just as Mary wanted her shrine in Mexico “to be a place where people would find God’s ‘love, compassion, help, comfort and salvation,'” today she “is calling us to show God’s love and compassion to our brothers and sisters and to work for a society that is worthy of the dignity of the human person,” Archbishop Gomez said.